Don't look now, but it won't be long before you can listen to music on our vintage jukebox and quaff Coney Island Lager on tap - in the space formerly occupied by the US Army! You'll browse through the new and improved gift shop in the former Dreamland Artists Club! And do it Wednesday through Sunday all year round! The design comes from architect Philip Tusa and the expansion is supposed to be ready in April '08. 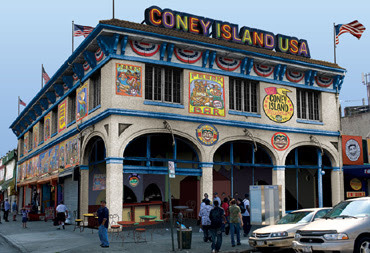 Thanks also Gowanus Lounge for a year of sharing the info on Coney.